The festive season brings many wonderful things; togetherness, beautiful lights, and of course, delicious Christmas treats. Whether you’re looking for cookies for Santa, something to take by the office, or a decadent Christmas dessert to share with family and friends, you’ll find it here. 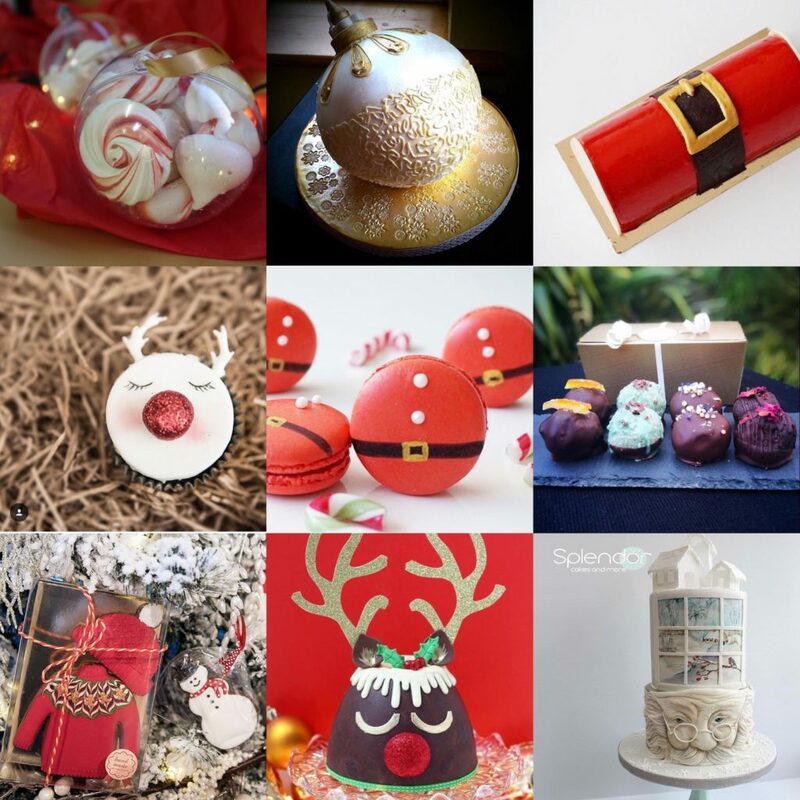 We’ve gathered a full dozen of our absolute favourite Christmas treats, crafted by local bakers. 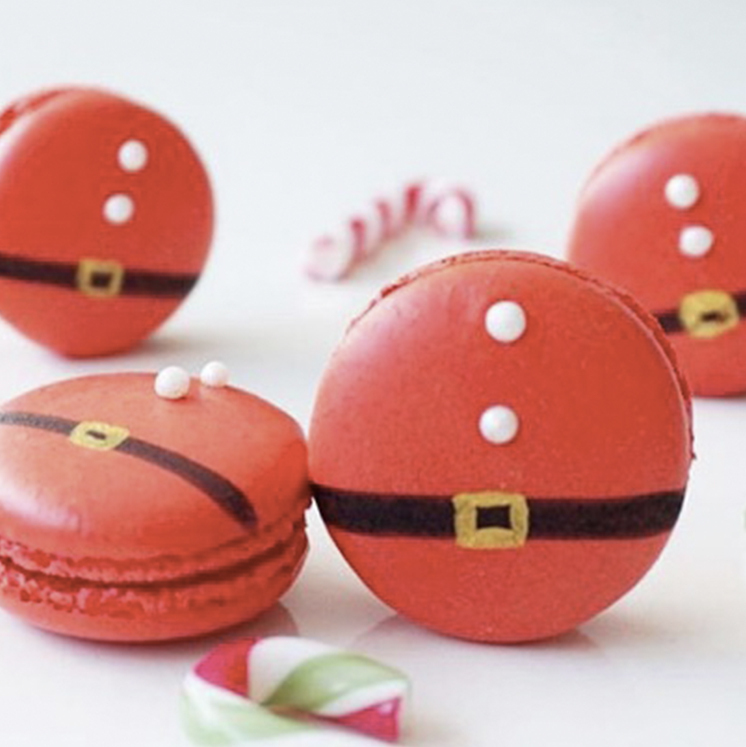 No doubt, the jolly man in red would approve of these macarons. 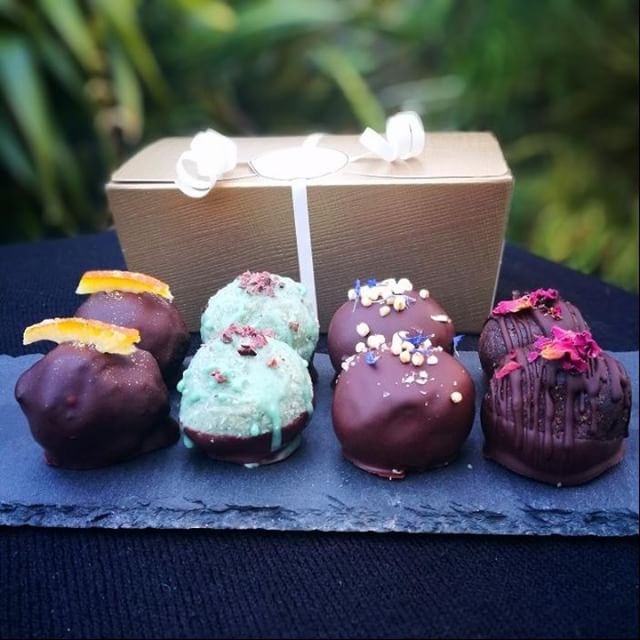 They’re not only done up to resemble Santa, but are loaded with decadent chocolate ganache and a have a centre of orange marmalade, making them a one-of-a-kind Christmas treat ideal for anyone who is still a kid at heart. These are done up by our very own Oceane’s French Cake, who makes delicious French cakes and macarons year-round, but only has these fun designs for a limited time. 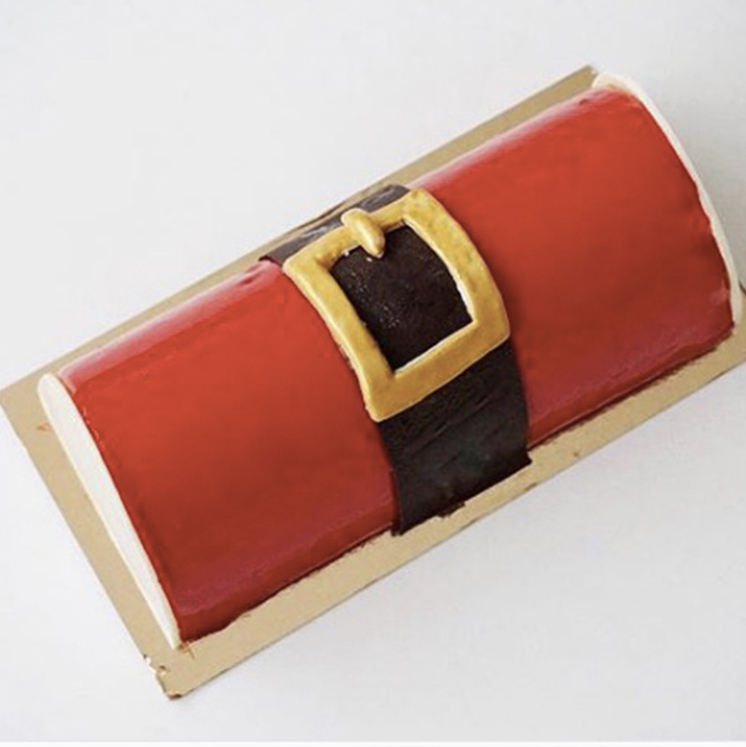 Oceane’s French Cake is at it again with this adorably-designed traditional French Christmas Cake. This particular cake is raspberry crémeux and vanilla mousse on a lime biscuit, but they also have a gorgeous star cake which includes chocolate mousse, caramel cremeux, and caramelized apples on a brownie, as well as a tiger Christmas cake that’s done up with layer of white chocolate mousse (with just a hint of tonka bean), a passion fruit crémeux, and a thin layer of passion fruit jam, all loaded onto an almond biscuit. What would Christmas dinner be without the pud? 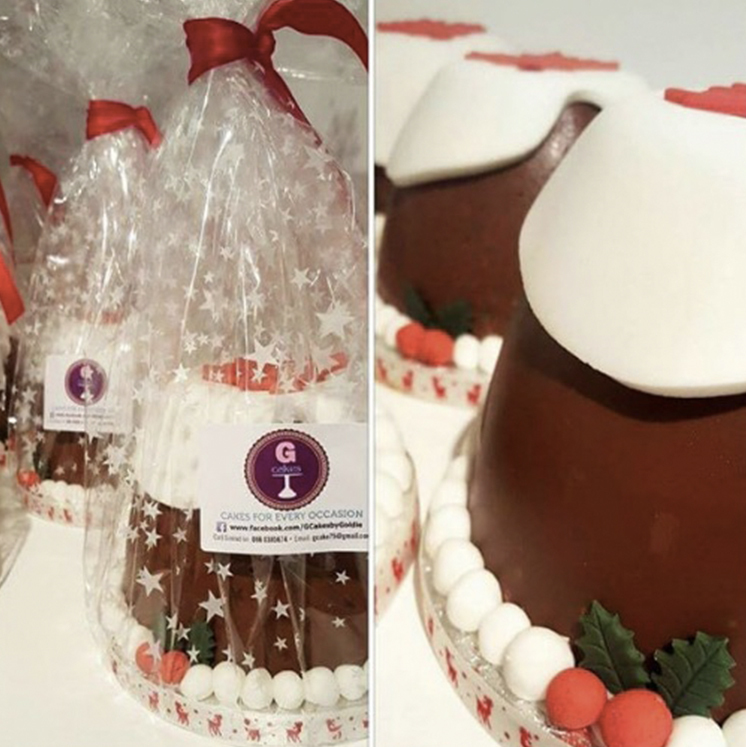 Check out how GCakes combines the tradition with beautiful artistry in these beautiful Christmas Puddings. 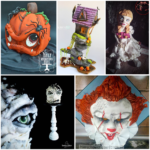 Unfortunately, it does take a considerable amount of time to create these beauties, so orders are already closed on this item, but you can bookmark GCakes’ page for next year or check out her other delectable offerings now. Never fear though, the ever talented ‘The Cake Cuppery‘ is still taking orders for her adorable Sleepy Rudolph Biscuit Pudding. This is sure to bring Christmas cheer to even the biggest Grinch out there. 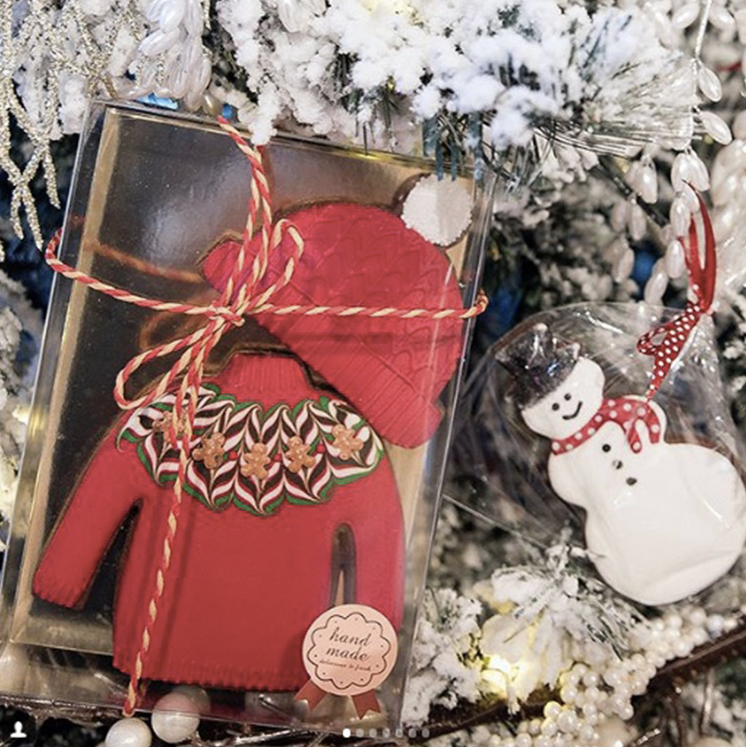 Much of the year, MMCookies focuses on wedding cakes and other specialty goodies, but when the festive season arrives, you’ll see their magical sugar art abilities displayed in the most amazing Christmas cookies ever. These gingerbread and honey cookies are hand-made, so they’re not only delicious, but unique as well. They’re ideal for gift-giving and to leave out for Santa, but we’re pretty sure you won’t want to part with them once they’re in your hands. 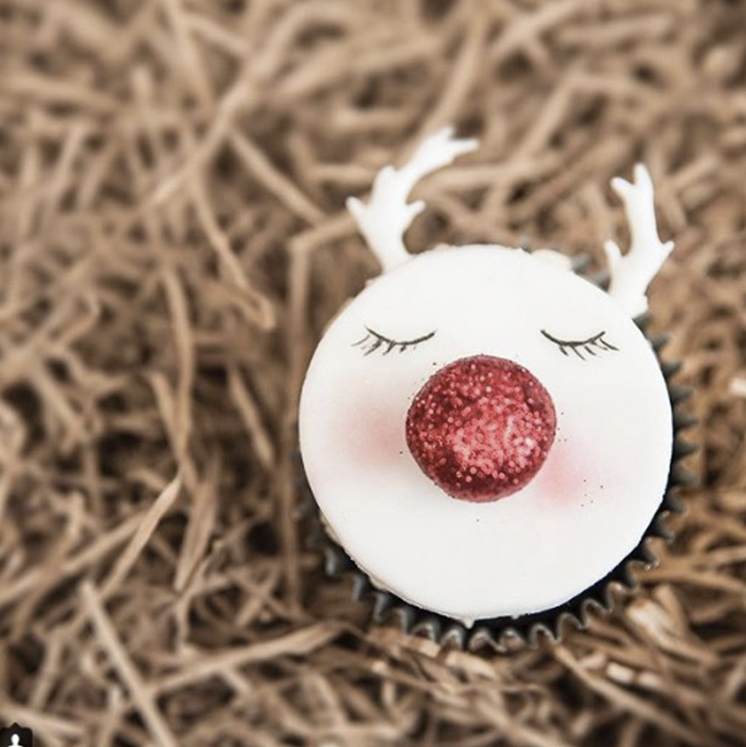 Instantly recognizable, these white Rudolph cupcakes bring smiles to elves of all ages. With a dash of edible glitter to light the way, everyone’s favourite reindeer is great for parties, gifting, and the dessert table. If you think you recognize the artistry here, you’re probably onto something. These were also handcrafted by MMCookies. Looking for a unique Christmas gift? Believe it or not, these baubles aren’t just for show. They’re filled with delicious meringue. 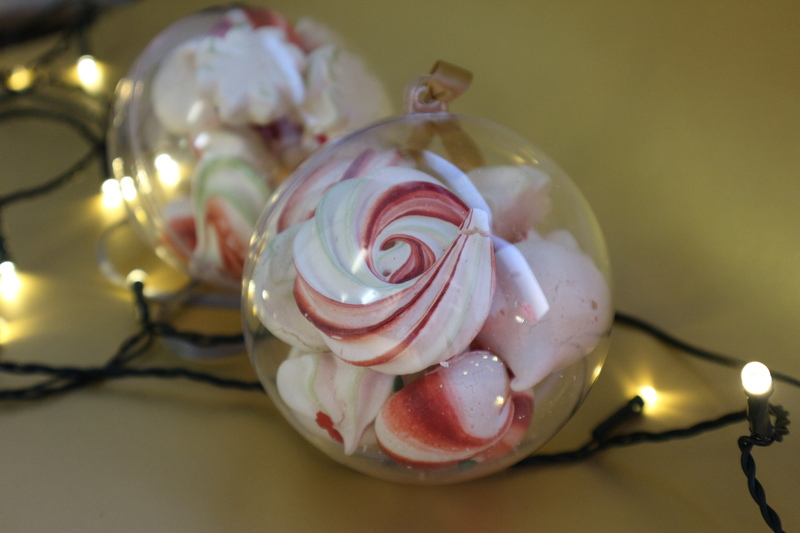 Although loved by many, meringue is extra special because it’s naturally dairy-free and gluten-free, making it the perfect option for those who are on special diets, but still have a sweet tooth as well. 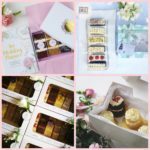 Delish Melish says these fun goodies keep for up to three weeks, so they’re great to pass out to co-workers or teachers, and work well as corporate gifts. Each piece Splendor Cakes puts together is a true work of art. The refined elegance of this particular winter cake speaks for itself, and is sure to get others talking at any type of Christmas gathering. 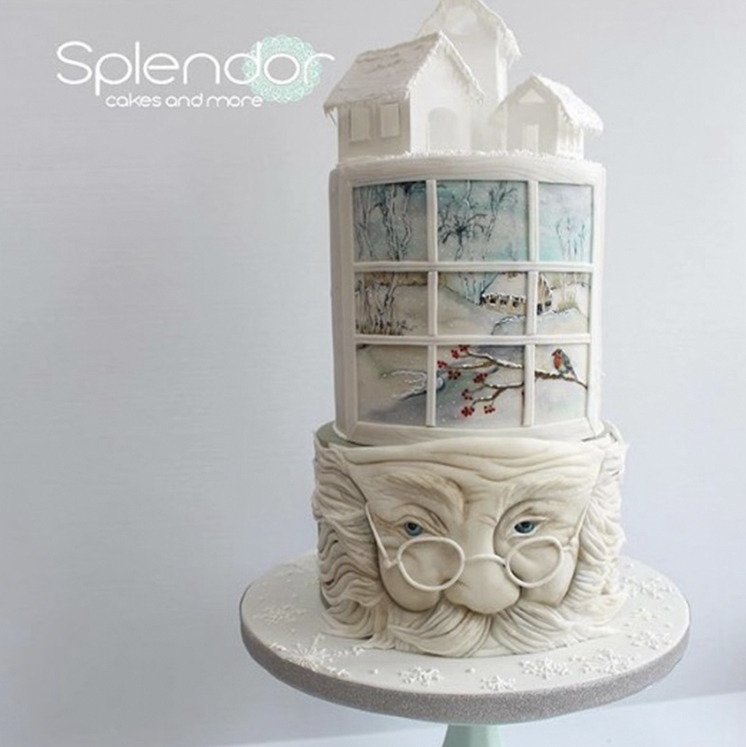 Although the photo doesn’t even come close to doing this gorgeous piece justice, you’ll note the designer paid attention to every detail, from the crinkles in Santa’s nose all the way through the delicate snow-covered tree branches and icicles that hang from the rooftops, using just a small dash of colour to bring the images to life. If you have a keen eye, you’ll surely note you’ve seen this robin redbreast before. 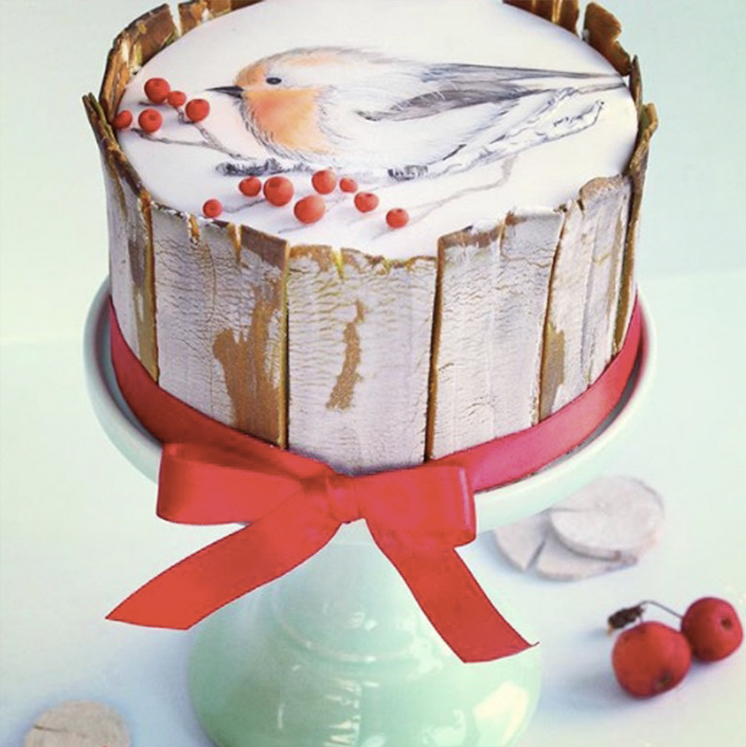 Splendor Cakes has worked it into more than one design. As an enduring symbol of the season, robins are a reminder of Christmas tidings, bringing warmth, love, and joy wherever they go. This particular robin is perhaps a bit more special than most, as it migrated all the way to Bavaria atop a delightful fruitcake this year. We hope you had safe travels! 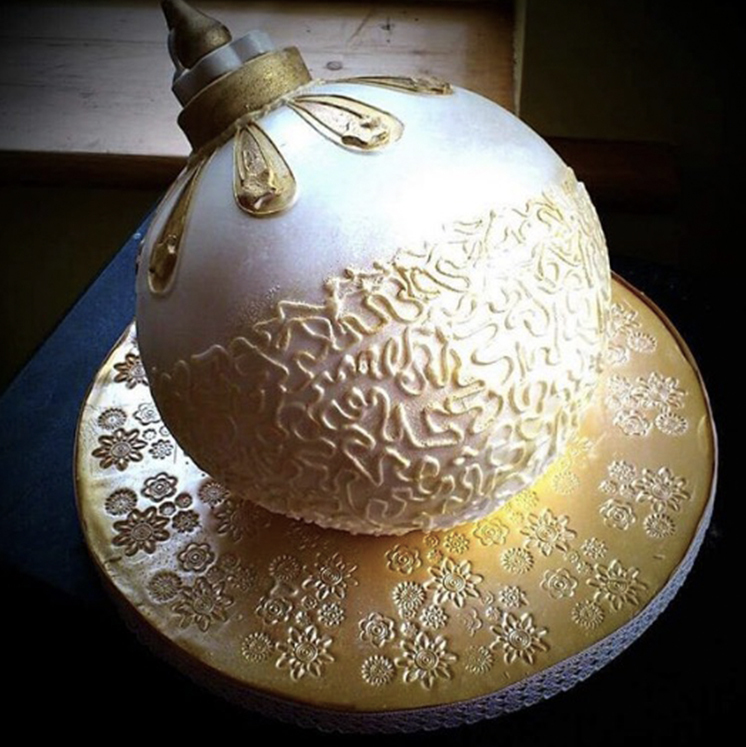 This delightful bauble cake was created by Cakes Glorious Cakes. It bears the designer’s hallmark signature of perfectly joining elegance with a touch of whimsy, which we most often see in her wedding cakes. 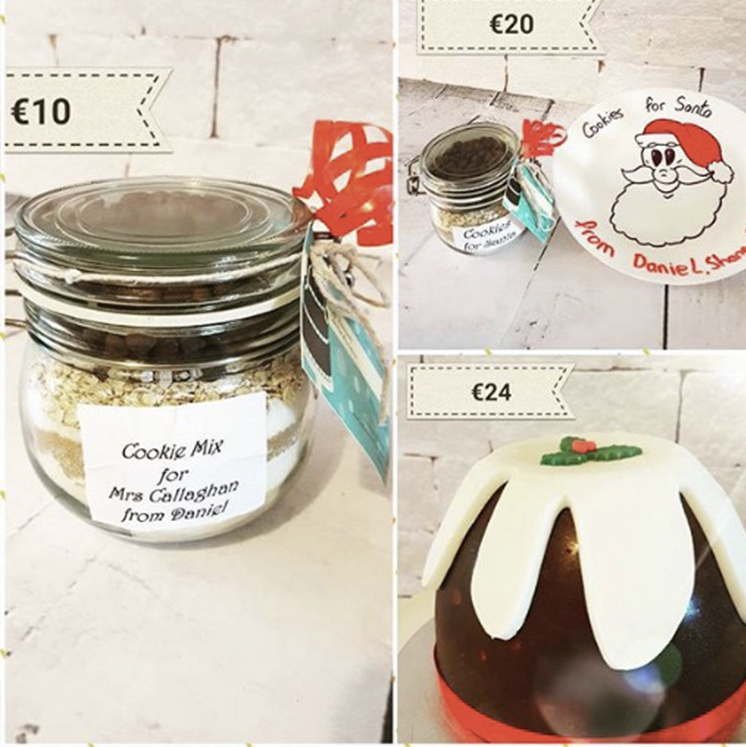 What’s more, Anne happens to be a coeliac, so creating delicious gluten-free goodies is a cause that’s both near and dear to her heart—further proof that those who are on special diets needn’t give up the Christmas treats they love. 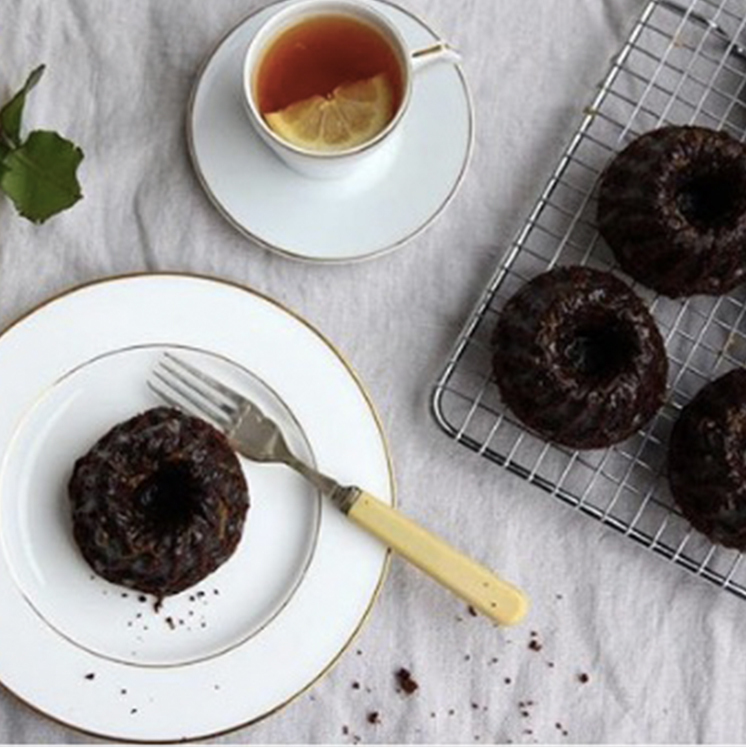 These decadent chocolate ginger mini bundts are topped with whiskey orange glaze, creating the perfect comfort food for a chilly winter day. The simple complementary pairing is befitting of Cove Cake Design’s style, though the award-winning bakery is perhaps better known for creating breathtakingly-beautiful modern wedding cakes. In the Pinterest age, everyone wants to be able to create amazing things in the kitchen, but few of us have the time or expertise to make something that tastes delicious and looks great too. The pros at The Bunnery have solved this dilemma for us all by pre-packaging their very best cookie mixes in personalised containers that are perfect Christmas treats. 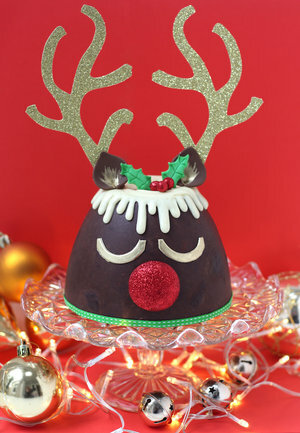 If you’re still looking for Christmas pudding, you just might find some there as well, but be sure to check out their fun and whimsical birthday cakes too. 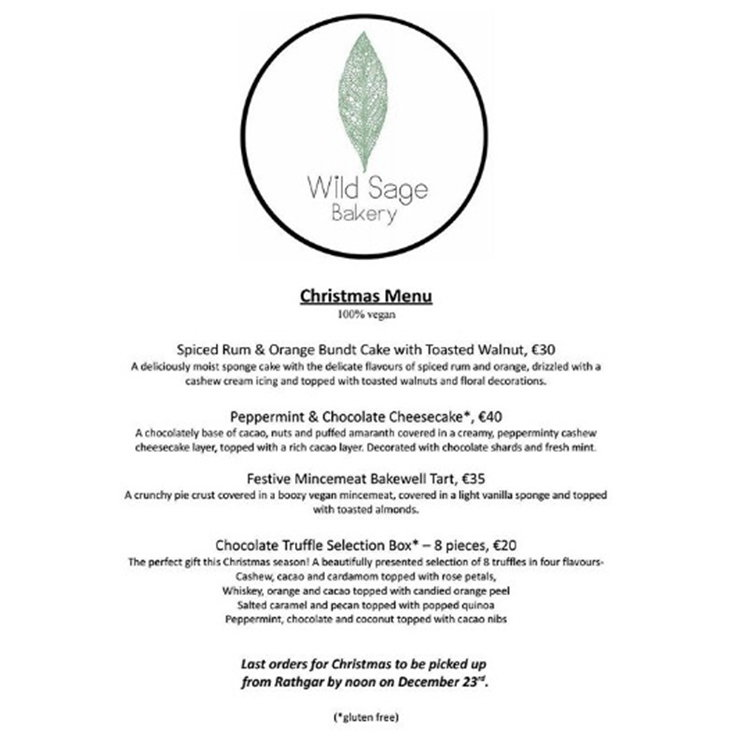 Each of the Christmas treats featured here was created by one of our very own local bespoke bakers. 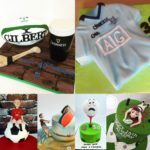 If you like what you saw, click the link in the caption to be taken to that particular baker’s Bakers and Cakers Profile, where you can browse more of their work, reach out to them for more information, or place an order with ease. Bakers: If you’re a baker who would like to be showcased on our site, and perhaps in future blogs, registering with us is simple. Just head over to our sign-up page and you can set up your profile page, plus gain access to a whole bunch of tools and resources designed to help you grow your business!